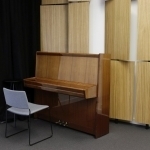 Are you looking for suitable conditions to realise your musical ideas? 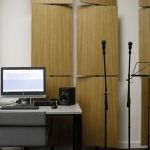 Would you like to release a music album or present to a friend an audio book recorded with your own voice? 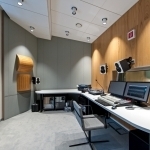 Visit the sound recording studio in the Martynas Mažvydas National Library of Lithuania. 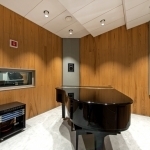 Our professionally equipped studio offers high-quality specialised services of the music industries. 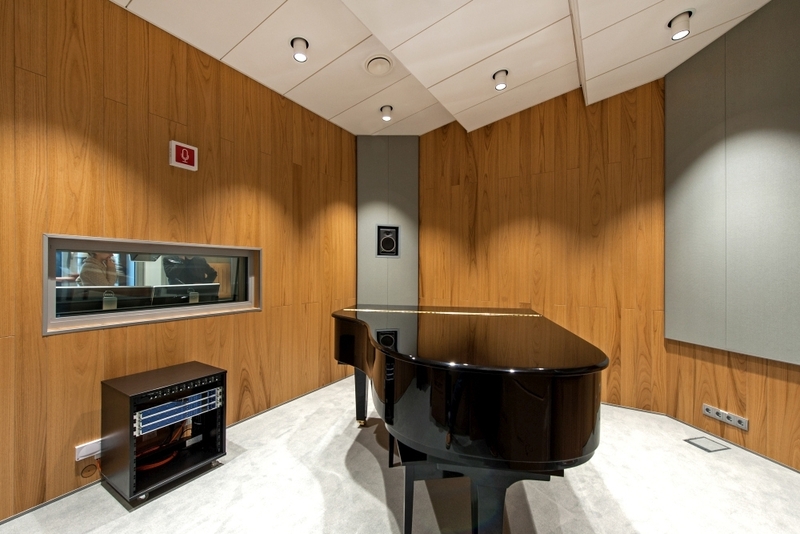 The studio is equipped to create 5.1 surround sound; here, you can record piano music with our new Yamaha C3X piano. 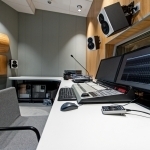 Sound director will edit your recordings according to your needs, mix and prepare them for release. 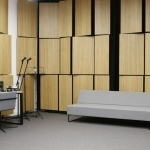 The space is open during the opening hours of the National Library; you will find it on Gedimino 51, 5th floor, Room 509. Cinema has an extraordinary power to draw a person into the created world. Spending a few hours in a good movie allows us to rest and forget the daily cares as well as get some creative inspiration and wisdom. 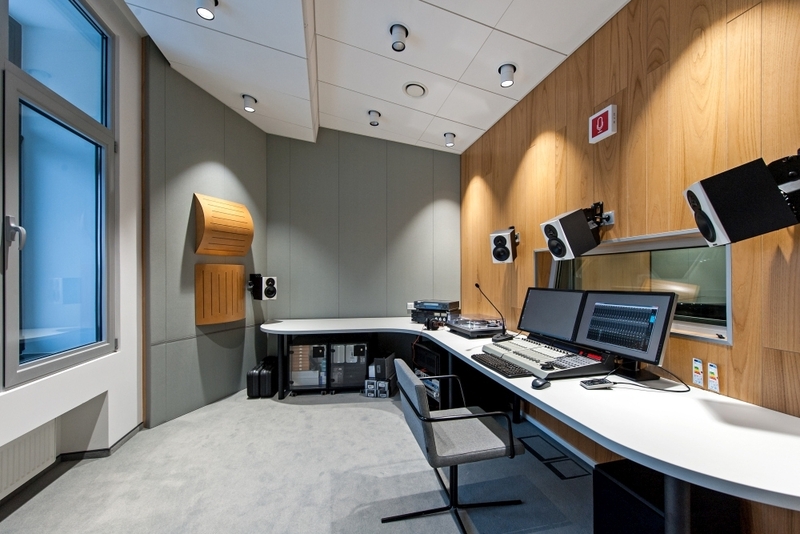 The Cinema of the National Library provides all conditions for this hobby to take root and become a space for your meaningful leisure or work. 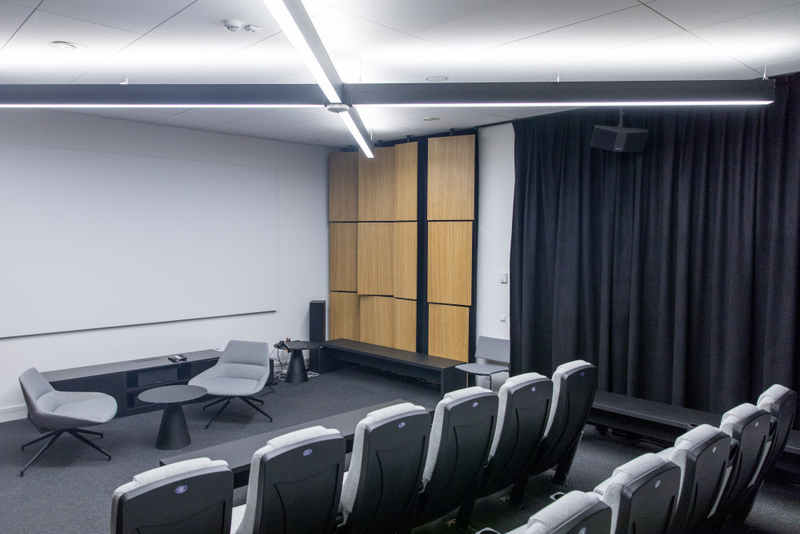 The Cinema is open to both the regular visitors and professional or beginner film makers. 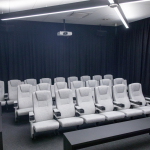 You are welcome to book the Cinema and watch the videos available in the collections of the National Library and participate in recreational events, educational programmes and creative workshops. 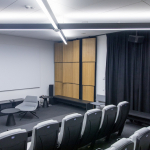 It is an excellent space for organizing chamber movie nights, film retrospectives, educational events about cinema, competitions for cinema fans, animation festivals and meetings with film makers. We encourage film directors to organize presentations of their movies and cinema fan communities – movie watching sessions, discussions and meetings. We will keep entertaining you with new film initiatives and thematic movie nights as well as meetings with film directors, artists, actors, scriptwriters and operators. The hall accommodates 22 people. 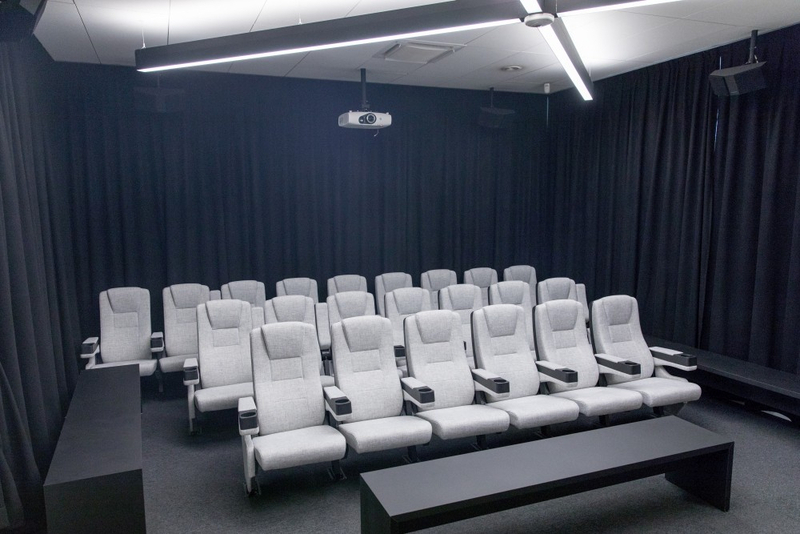 It has all equipment necessary for film screenings (a projector, a 7.1 surround system, and a computer). The films can be watched in DVD, Blue-Ray and VHS formats. Internet access is also available. The computer has a Windows 10 operating system. Films can be brought in and watched using a USB flash device in a MOV or MP4 format. Note: All equipment is designed and intended for Microsoft Windows operating systems. Users are not permitted to disassemble the equipment. 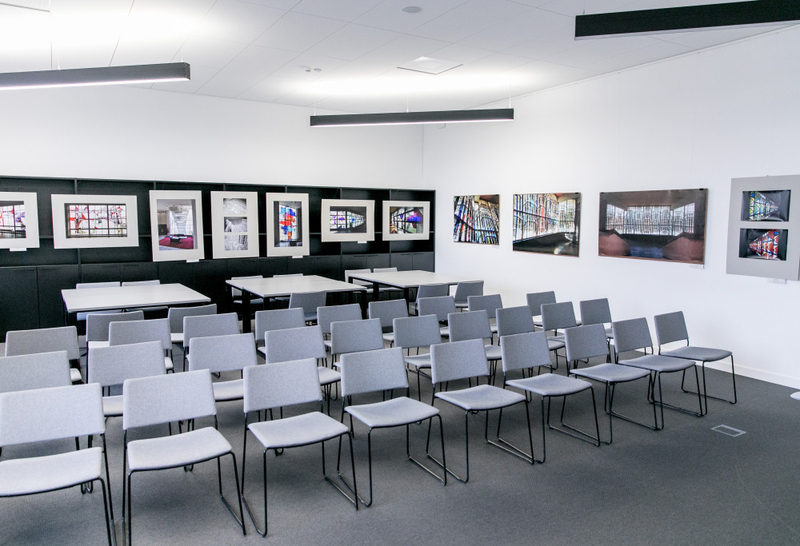 The space is open during the opening hours of the National Library; you will find it on Gedimino 51, 5th floor, Room 507. The atmosphere in the Art Lab makes it possible to leave the usual surroundings and routine behind, offering opportunities to release creative energy, share one’s art with others and discover art created by them. 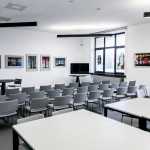 We use this space to organise meetings with artists, professionals of art history, theory and criticism, educators, curators, culture managers, publishers and other specialists of different fields of culture. We invite you to take advantage of the opportunity to participate in diverse cultural exchange and enjoy first-hand creative experience. We encourage you not only to participate, but to initiate these activities as well. Presentations and discussions about the city’s cultural events and phenomena. 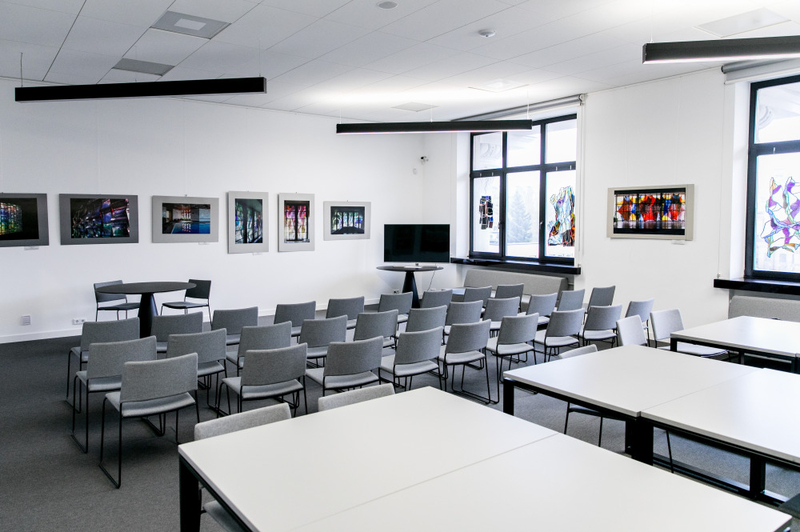 We are open to people with different experience levels, backgrounds and age groups, professional artists and amateurs, educators in the field of art, art therapists, young people who are part of the academia – everyone willing to learn more about the world of art and discover and develop their creative powers. 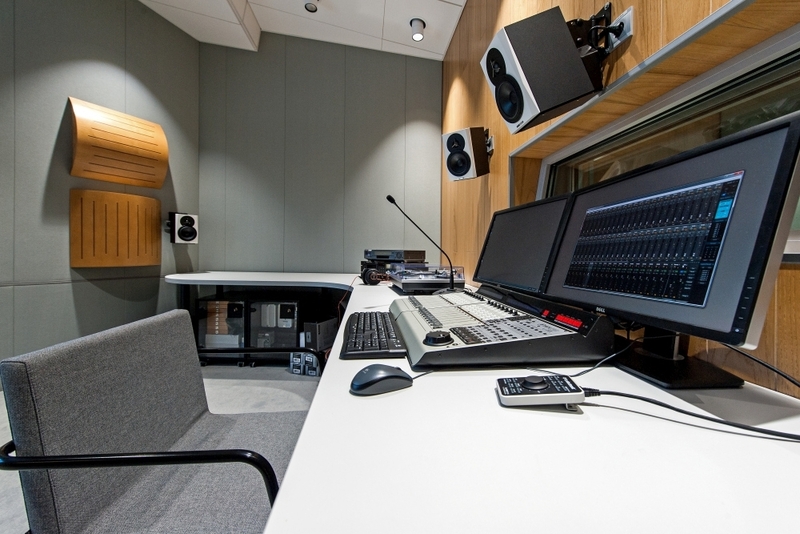 We seek to create favourable environment for your creative expression making it possible to discover both traditional and contemporary cultural phenomena, expand the limits of perception and communicate. We hope that the art space will become a unique place to learn and serve as a source of creative inspiration for many of its visitors. 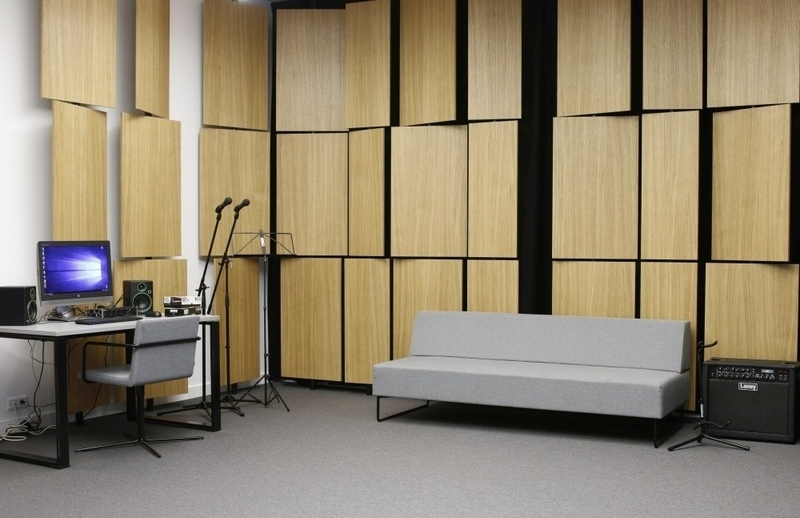 The space is open during the opening hours of the National Library; you will find it on Gedimino 51, 5th floor, Room 535. 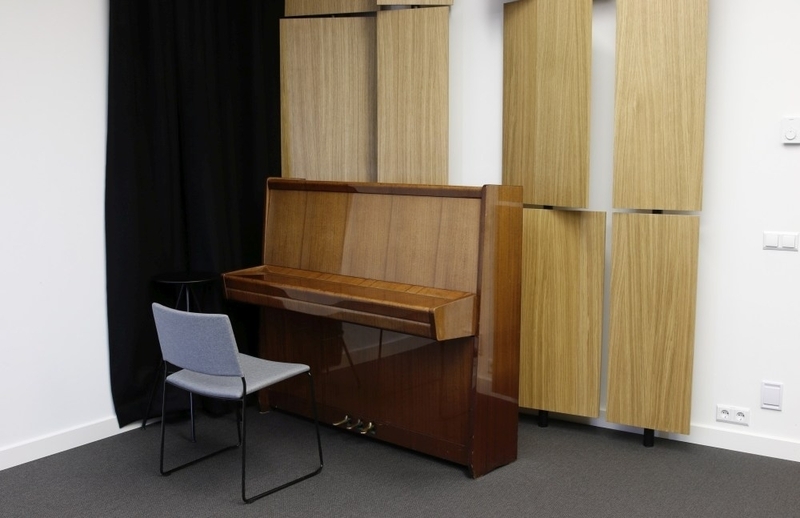 The Music Lab is open to all visitors of the Martynas Mažvydas National Library of Lithuania who play, write or wish to learn more about music. 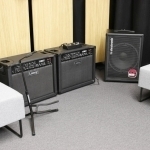 The space is designed for rehearsals, creative and educational meetings, experience sharing and musical improvisations individually or with friends. 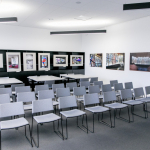 We are planning to organise thematic meetings, lessons and lectures here too. 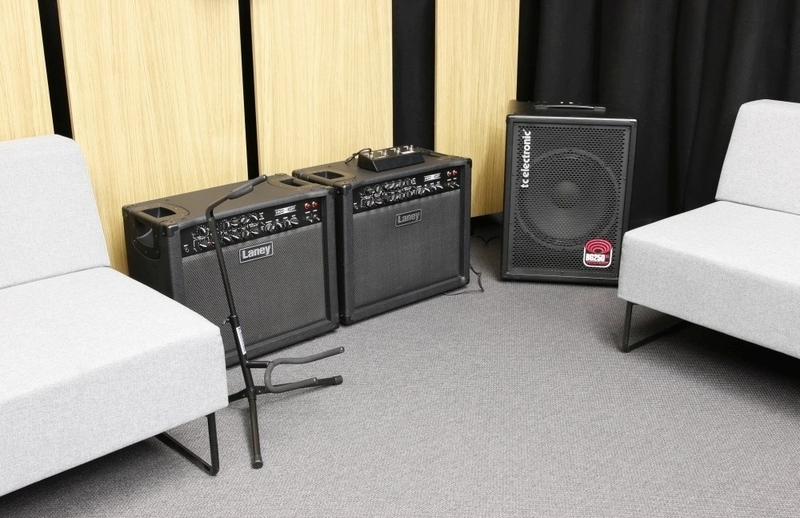 Those wishing to improve their skills or simply relax playing music with friends are welcome to bring their own instruments (acoustic, electric guitars, other string instruments, synthesizers, small percussion instruments, etc.). 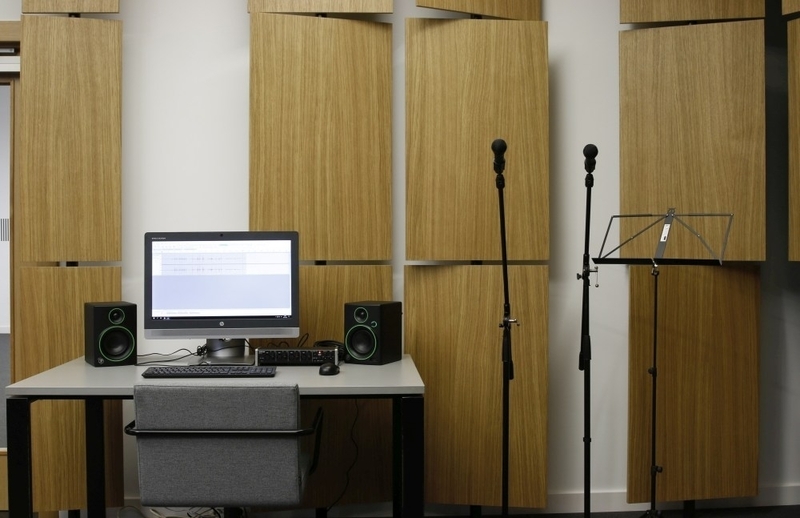 The space can be used to record and replay your own rehearsals. 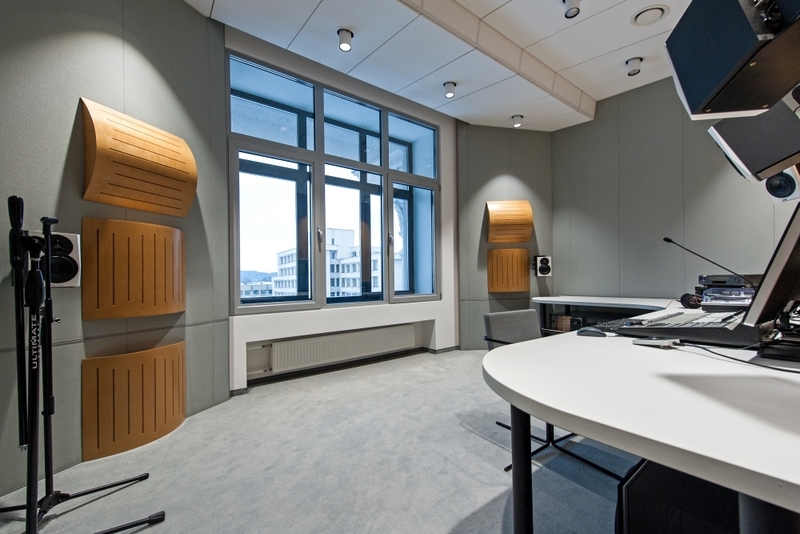 The space is open during the opening hours of the National Library; you will find it on Gedimino 51, 5th floor, Room 536.